Isn’t it terrible when the boss gets to shred perfect Alpine pow while you’re hard at work. 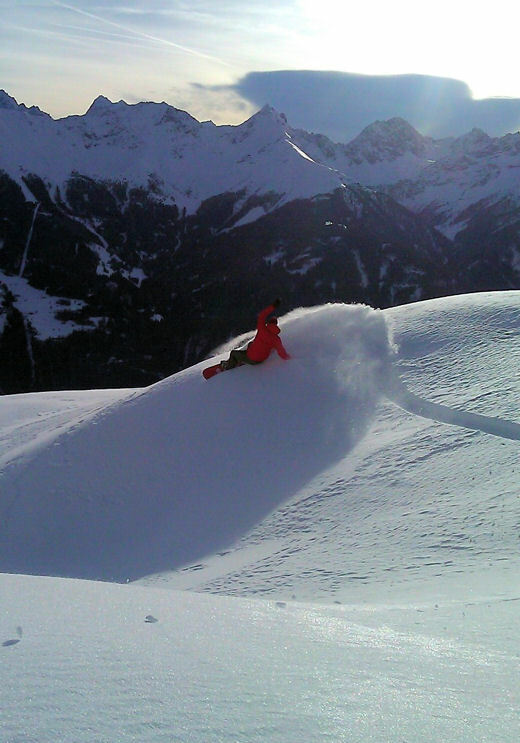 Two days ago Amplid Ambassador Stefan Falkeis went riding with Amplid co-founder Peter Bauer in the Austrian Alps with the strict instructions to shoot him mid pow turn. Stefan got a little confused and took a photo instead. Next time Stefan please use an RPG not a DSLR.